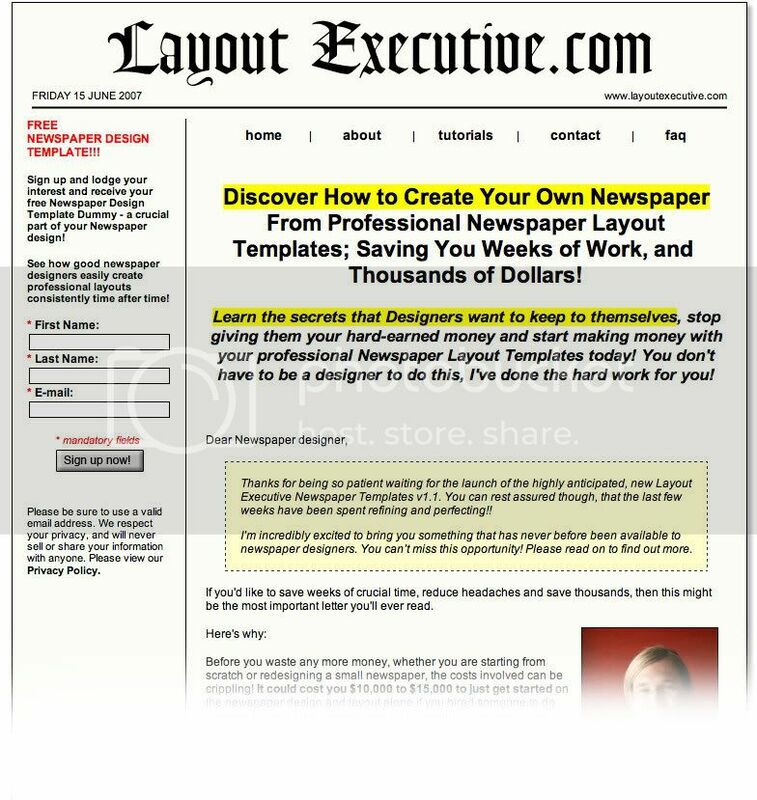 This product ( access to its web clicking here) promise that, anyone, with two basic ideas can design a newspaper. New design Messiah and his ¡7! years of experience promises us taht these templates will give great design for small newspapers, doesn't matter if all have the same kind of pages. But, we don't need it. We got this with templates from Publisher. We don't need photographers, we got banks of free images in internet. We don't need infographics artists. We got Clip Arts form Corel.